Today Miss Mustard Seed is leading the last installment of her decorative painting seminar. She’s going to share her design secrets and prove to you that you don’t have to know how to draw in order to paint. Amazing incredible read. I was glued to every word and it totally inspired me to pick up the tools she mentioned to give it a try. Enjoy this one! 8. Before and After link party! Well, you already know where I personally shopped as per Part 4. I shopped my own place first and the local thrift for the bulk of what I required. With a little creativity, you can create a productive area with the simplest of things. Remember also, you can make what you need if you know someone handy enough. It really all amounts to what you personally require to do your type of work. This one’s pretty self explanatory. Unless you’re getting some killer wrap around cabinets and pro workbenches, for the most part you can do most setups yourself, especially if you use ready built items and lightweight table surfaces like the collapsible tables used in Part 4. Ok, so how would you like a fancy dancy cord wrapping lesson? I mean a little different from the norm? … like this. I know. You can barely stand the suspense. Here ya go! 1. Straighten your entire cord, folding it in half. 2. Place your hand inside the cord and grip as per the picture. Keep gripping and…. 3. … pull the gripped area through the looped area so you end up with this. The rest is really difficult to picture and explain, so I’ll let the crappy quality video take over. 🙂 I love the second segment. There’s a huge lag in between the sound and speech. Looks like a poorly made international movie (that would be nearly true from this Canadian, eh? ), complete with gritty screen. I like wrapping my cords this way because they totally stay neat and tidy and you can actually use the cord partially wrapped. They never tangle and are so easy to transport around. A pro electrician showed me this trick and I’ve used it ever since. This is how that beauty looks in my own garage. 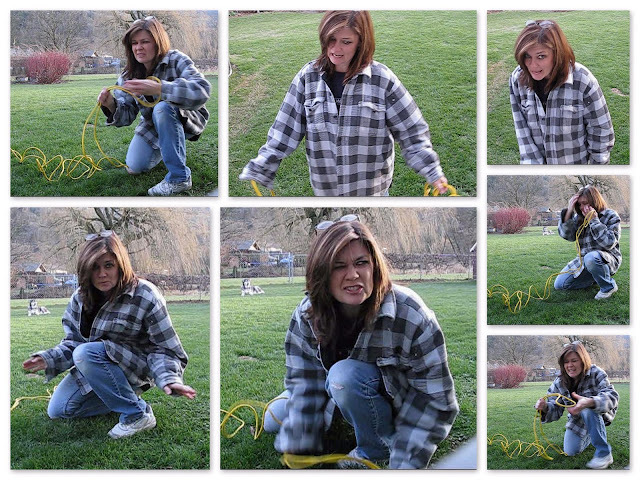 And because I’m totally not the most serious person on earth here, how about a few still shots from the video? Ever do this? Tape yourself then see just how weird you can get the poses just for kicks because you’re avoiding going to work and this was more fun?!? THAT was an education. Aren’t you glad you tuned in now? Hey, know what? We’re DONE! THE BEFORE AND AFTER LINK PARTY! 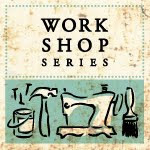 Now that our workshops are all nice and clean and ready for high productivity, the workshop series will change. I’d like to offer diverse topic ranges in much shorter segments so you can capture the most bang for your click on over here. Topics will come before you in a random fashion, so make sure you tune in to see if the topic of the week interests you! There will also be blogger guests showing you their own tricks of the trade. See that poll up on your right sidebar widget? 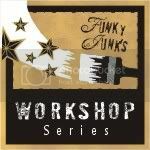 It wants to know what you want to learn in the workshop series. Please select ALL the answers that interest you. Go for it. Let me know what inspires you to come on back and get excited about this thing and I’ll see what I can do. And if I can’t do it, I’ll try and find someone that can. Feel free to also comment below but don’t forget about the poll up on top. Thanks for your input! How to wrap an electrical cord via Funky Junk Interiors from Funky Junk Donna on Vimeo. I do the same thing but I think of it as crocheting the cord, lol! Ok, now you made me go in the basement and see whether I have a cord that is long enough to turn into a necklace! Great video, I long for the great outdoors, have been cooped up inside way to long. I love the still shots! And very interesting cord wrapping technique! I have to say that I have never seen a cord wrapped like this. I will be the talk of the neighborhood! I’ll be a star!!! LOL!! Thanks for giving me a key to fame!! What an awesome wrapping technique. I needed this because of course I never wrap it up correctly! I am going to WOW his socks off with this technique! thanks for sharing. The long cords do drive me nuts. I’ll try this technique in front of Tool Man (hubby) and I’m sure he will say ‘Huh’. LOL! Thanks for your feedback! It’s awesome. I’ve seen this done before but never watched anybody do it,, pretty cool,, looked like a crocheted chain,, ha .. i’ve got to try and see if i can remember how to do it.. I’ve loved this series of putting together the workspace , thanks for sharing all the great tips. Do you like to spend your time in like these work shop? I do that before and after few days that got boring for me to be there regularly. I haven’t seen cords done this way either. All of my contractor guys just wrap them with the elbow. Hey, I have to reveal two areas. Can I do that? I have my workroom for sewing inside the house, and then my tool area in the garage, which by the way, I haven’t even started on yet. Oh, the pressure. Okay you are just way too clever for me… I am sure going to try this one out for sure… I put a post on my blog for you… A little storage solution for the workshop go check her out. I especially like the way the cord comes undone…so smooth. I don’t have long cords like this in my life, but if I did I’d watch and re-watch what you did to get it that way. I’d probably fail though. I can’t chew gum and walk at the same time. Hey, I clicked on a bunch of things Not the plumbing! What’s board and batten????? (scratching head) Guess I’ll find out, right? Your son did a nice job on the international video! The photos were funny, but if you could have been in my seat watching it here, you’d be on the floor. The sound wasn’t aligned with the video! Not that was comedic!!! This series has been so good for me. My studio/workshop isn’t any thing special and won’t win any decorating magazine awards, but it certainly is altering my perspective every single day. I skip now. I used to meander. I smile more. I used smirk. And, gosh darn it, I cry. Why did you do this to me??? Tears of gratitude, of course! Looking forward to seeing your garage and all the other gals work spaces. I know I’ll be even more inspired!!! That cord wrap trick is cool! My mom said she is going to try it with her cords. She loves organization and loved this idea. Thanks for sharing. What Grover says is totally true. I really should wind the cord alot looser, but it drives me batty when it ‘looks’ sloppy. 🙂 I take great pains to ensure the cord isn’t twisted first. The guy in the video that I’ve posted on the sidebar? His is sloppy like but I’m sure it’s the right way. 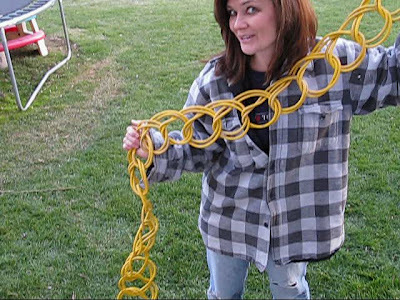 And there’s no way you can achieve this with really heavy duty cords, just the lighter weight ones. I think if I wrapped my cords like that my hubby would have a good laugh–very pretty! love your facial expressions! priceless!!! I’d love to see a turorial on how to use a miter box to put up crown molding or to frame something out. Thanks for all the wonderful tips. I am enjoying this feature so much. 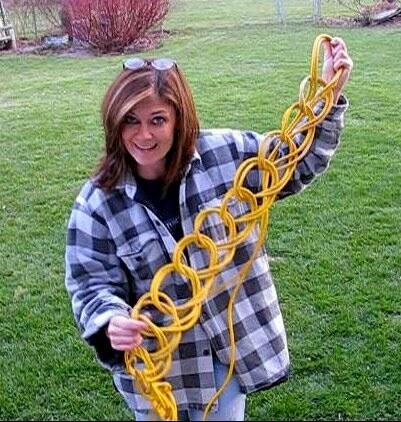 Well, I never thought I’d see anyone crochet an extension cord! That is awesome. I’ll have to show my hubby – it will revolutionize cord wrapping in Redneckville! Love it. Wow… this is pretty interesting. The guidelines are crystal clear.